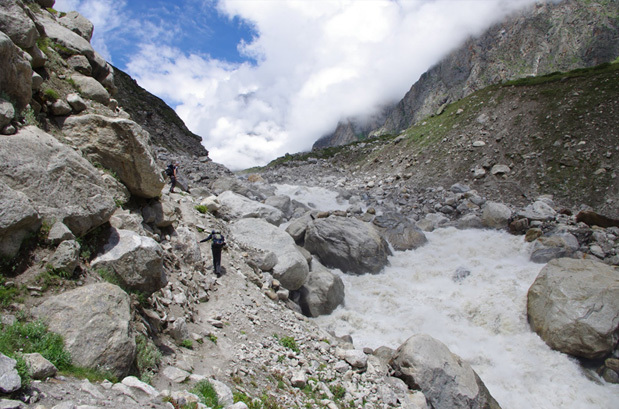 At a short distance from the sacred town of Badrinath, The glacial lake of Satopanth allures adventurists to add the accomplishment of one more impressive trek in their biography. Sequestering amidst the imposing ranges of the Garhwal region, this green triangular lake offers an ambiance of serenity. The lake is said to have a deep set connection with the Hindu mythology as the three corners of the lake are believed to be the sacred part of the holy trinity, namely, Brahma, Vishnu and Mahesh (Lord Shiva) who are reckoned to have meditated at three of the respective corners. Many devout pilgrims also trek to this lake for bathing here on solar and lunar fortnights as it is considered most auspicious. Satopanth Lake commences from Mana Village, which is 3 km away from Badrinath and houses a natural rock bridge called Bhim Pul. The Satopanth Lake Trek is a bit hazardous but the risk is well rewarded with unparalleled scenic views. 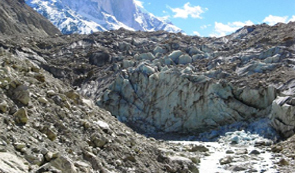 The trek boasts rich surreal views and requires glacial and boulder walks as well. 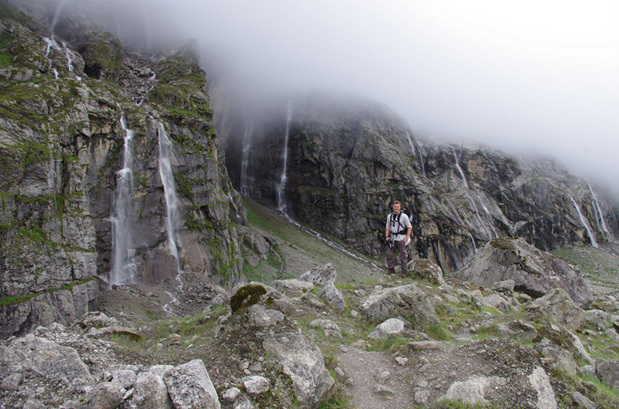 During the trek, one has the opportunity to witness 400ft waterfall; Vasudhara Falls, pass through India's last village, Mana and get incredible views of Himalayan peaks like Neelkanth, Chaukhamba and Swargarohini. .
Best time to travel to Satopanth Lake Trek is in summers (Mid May – June) and Post monsoon (September - October), when the weather remains pleasant and the sky clear for some magical views of far-flung high mountain peaks. 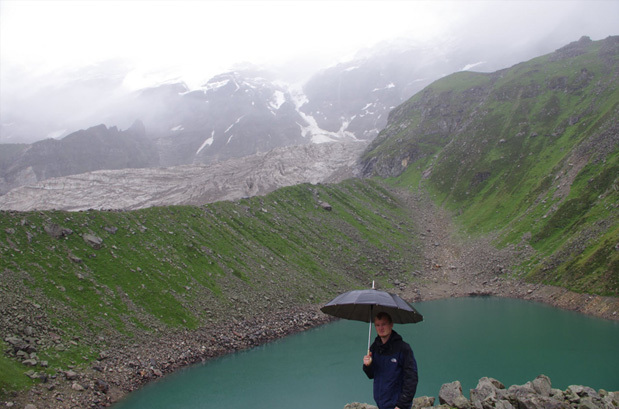 In summers: The weather of Satopanth Lake trek remains pleasant during summers. 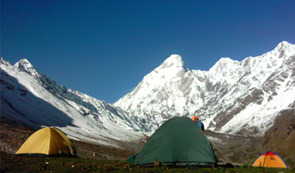 Since the sky remains clear, one has the opportunity to view the Himalayas distinctly. Carry woolens with you. In monsoon: During the monsoon, the area around Satopanth Lake becomes lush green as if it is inviting tourists to get lost into the wilderness of nature. However, there are chances of roads blocks for a couple of hours due to landslides but the scenic beauty of Satopanth Lake trek during monsoons is worth taking the risk for. Carrying raincoats is advised. 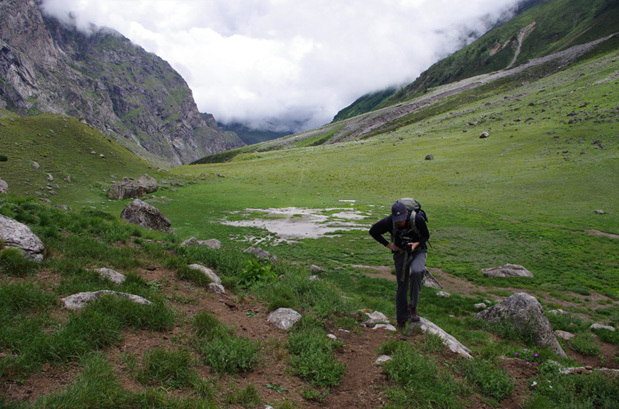 After post monsoon: Post monsoon is an ideal time to do the Satopanth Lake trek. 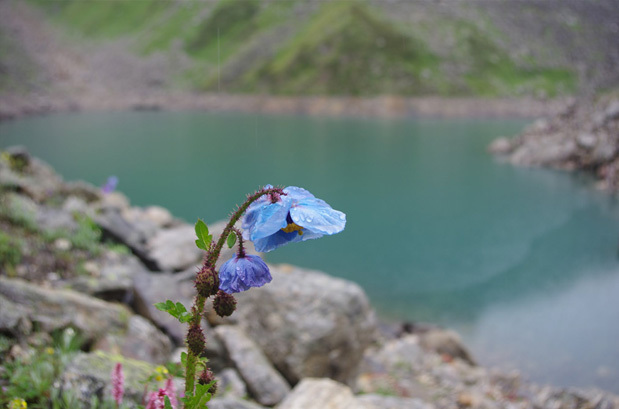 One can see the best of Satopanth Lake trek post monsoon as it blossoms with flowers and vegetation making it look heaven on earth. Carrying heavy woolens is advised. Where is the Satopanth Lake? 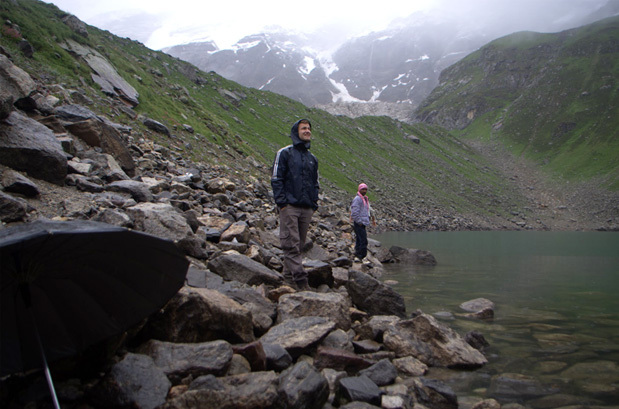 Satopanth Lake is situated in the midst of snow-capped peaks at an altitude of 16,000 feet above the sea level. The lake is located 22 km ahead of the sacred town of Badrinath. Balakun Peak, Kuber Top, Mt. Neelkanth, and Mt. Swargarohini are the peaks visible en route to Satopanth. By Air: Jolly Grant of Dehradun is the nearest airport to Badrinath. The airport is well connected to Delhi with regular flights, whereas Badrinath is well connected by motorable roads with Jolly Grant Airport. By Rail: The nearest railway station to Badrinath is Haridwar/Rishikesh. The Rishikesh railway station is situated 295kms before Badrinath on NH58 and is well connected by with major cities of India. Trains to Rishikesh are frequent and Badrinath is well connected by motorable roads with Rishikesh. Taxis and buses are available from Rishikesh/Haridwar to Badrinath. 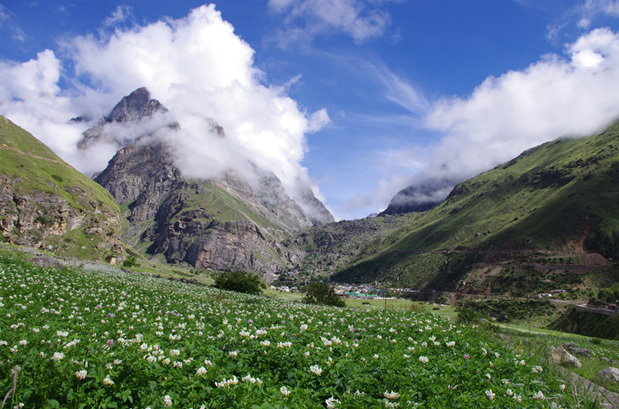 By Road: Badrinath is well connected by motorable roads with major destinations of Uttarakhand state. Buses to Haridwar, Rishikesh and Srinagar are available from ISBT Kashmiri Gate, Delhi. Buses and taxis to Badrinath are easily available from major cities of Uttarakhand state like Dehradun, Haridwar, Rishikesh, Pauri, Rudraprayag, Karnprayag, Srinagar and Chamoli. In the morning take an AC train for Haridwar at 06:50 hrs. After arriving in Haridwar, you will be met by our guide who will help you transfer to Rishikesh and in checking into your hotel. Evening time is free for leisure activities. Overnight stay at the hotel. Today, we shall drive to Joshimath via Devprayag, Rudraprayag. One can see Devprayag (confluence of Alaknanda & Bhagirathi.) on the way. Arrival at Joshimath by evening. Check-in to the hotel. Dinner and overnight stay at hotel. 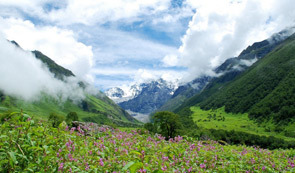 In the morning today, we shall drive from Joshimath to Badrinath. Sightseeing and overnight stay in the hotel. Today, after the breakfast, we shall drive e to the village of Mana. 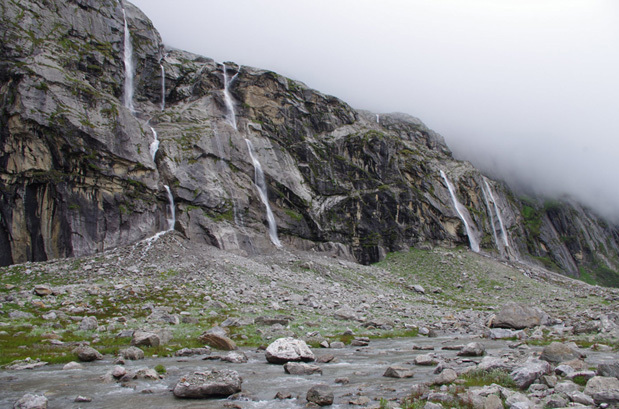 From here the trek starts towards Laxmi van along the falls of Vasudhara. 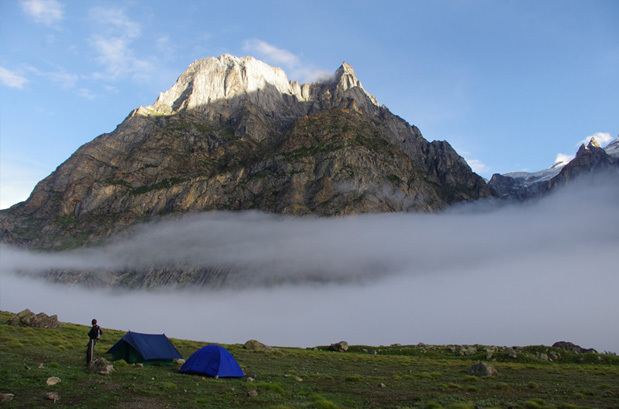 Laxmi van is a beautiful campsite with an impressive Alkapuri glacier on the opposite side. Overnight stay in the tents. Our trek today will be towards Chakrateerth. We will ascend and continue along the beautiful waterfalls called Sahasradhara meaning Thousand Waterfalls. We shall be also be required to walk over the boulders. Overnight stay in the tents. Early in the morning today, we shall ascend to the top of the ridge. From here walk along the glacier to reach Satopanth Lake. After spending sometime near the lake, we shall trek back to Chakrateerth. 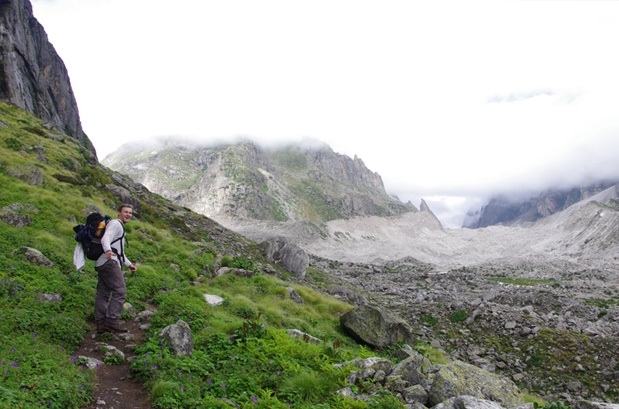 Further trek down to Laxmivan, which is comparatively easy descend with cautious approach. Overnight stay in the tents. Today, we will descend to Mana Village in approximately 3 hrs. At Mana, we will take the vehicle and start driving towards Rudraprayag. Arrive and check into the hotel. Overnight stay in the hotel. In the morning after breakfast, drive to Haridwar via Devprayag and Rishikesh. On arrival at Haridwar, transfer to railway station and from here catch an AC train for Delhi. When to book Satopanth Lake Trek? 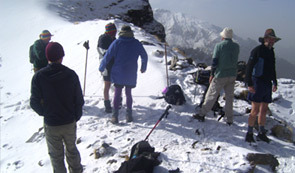 You should book Satopanth Lake Trek two months in advance so that you get ample amount of time to prepare for the trek. 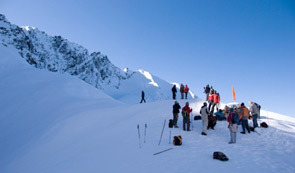 Our pick up and drop point for Satopanth Lake Trek is New Delhi train station at platform no. 16. We will hand over the train ticket and you can board train from there to Haridwar. At Haridwar, our guide will meet you and assist you further. What is minimum age required for Satopanth Lake Trek? 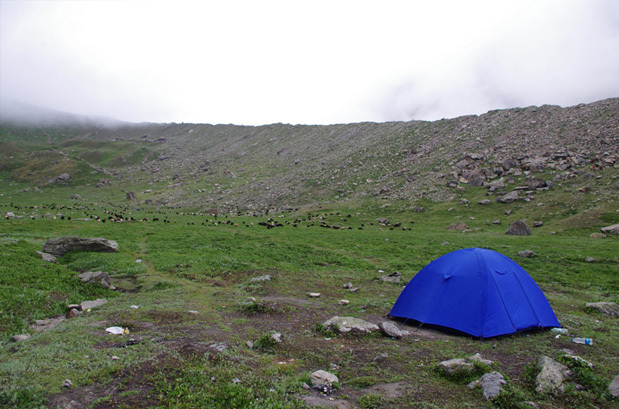 Satopanth Lake trek is a moderate trek with a maximum altitude of 4600m, so the minimum age required is 15 years. 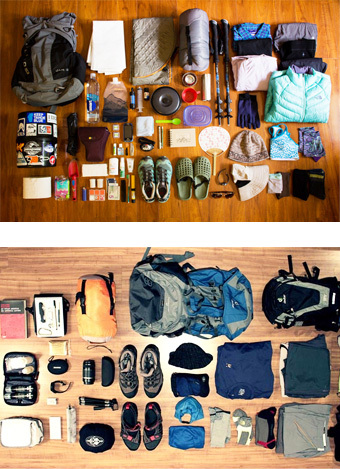 How long we trek during Satopanth Lake Trek?